Vienna, the onetime imperial capital known for its composers and coffee, is a beautiful albeit a bit pricey city to visit. It is a great destination year round and is known for its beautiful spring and bustling Christmas markets. However there are a lot of activities that you can only enjoy during the summer months. Not all of the places listed here are summer specific but many of them are and are worth checking out if you are planning a visit. Serviced by an integrated subway and tram system, getting around Vienna is very easy. A variety of passes are available that allow you to hop on and off as much as you like which makes exploring very simple and cost effective. 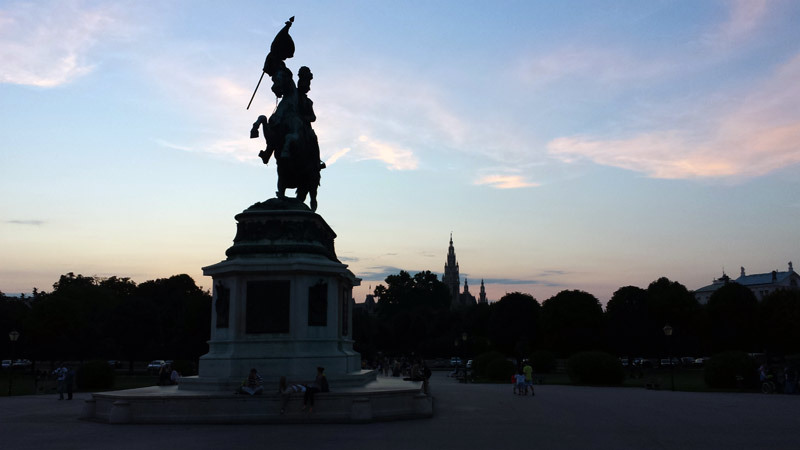 Of all of the cities we’ve visited Vienna is near the top of the list of easiest to explore. 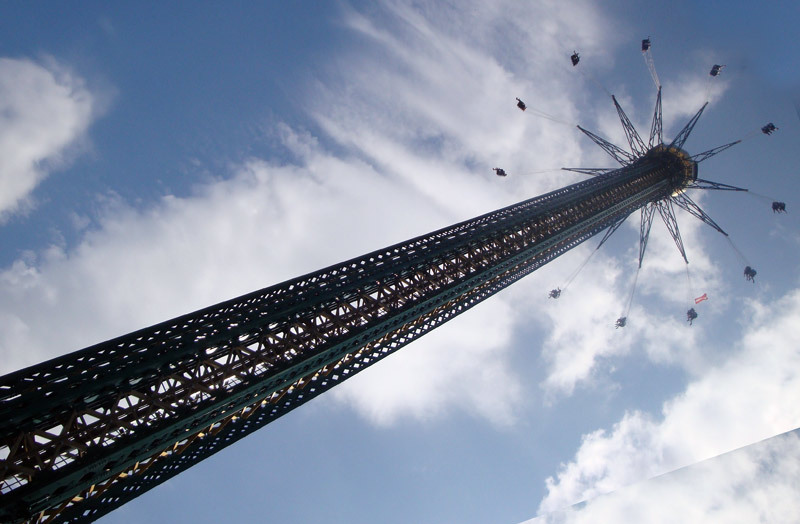 I don’t care if all of the engineers and safety inspectors speak German….I’m not going up 100 meters on a swing. 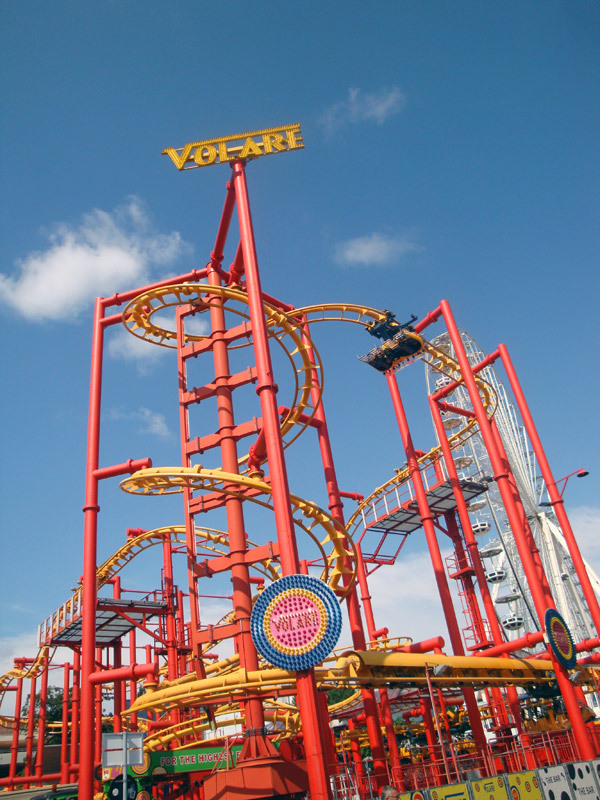 How do you get the roller coaster cars to the top in a limited space? How about a giant ice cream maker paddle? 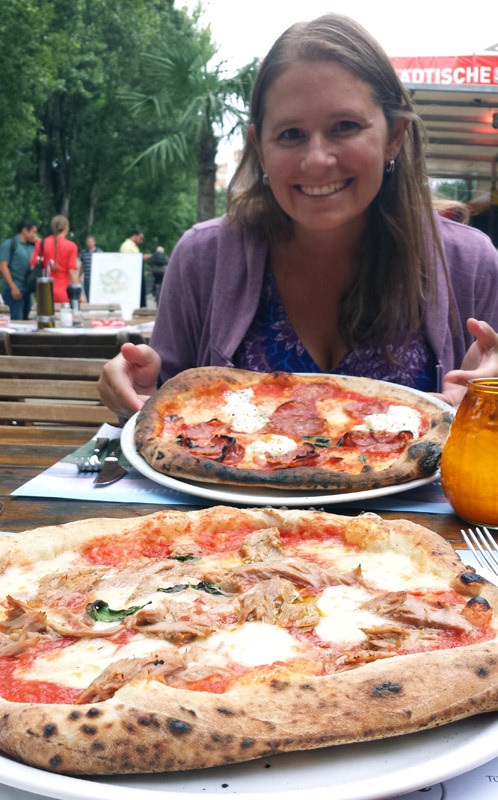 Enjoying pizza at Riva along the Danube Canal at Summerstage. Formerly a Hapsburg palace, the Albertina is now an art museum. Home to a massive print collection, it also has two collections on permanent loan featuring some of the most prominent names of the last century and a half. They recently acquired some works from Alex Katz for a new installation. While we were there they had a temporary exhibit based around the 1960’s movie Shoot, a British film about a mod photographer who inadvertently photographs a crime. The exhibit featured shots from the film along with photos of its production as well as works by the photographers whose works were used within the film. 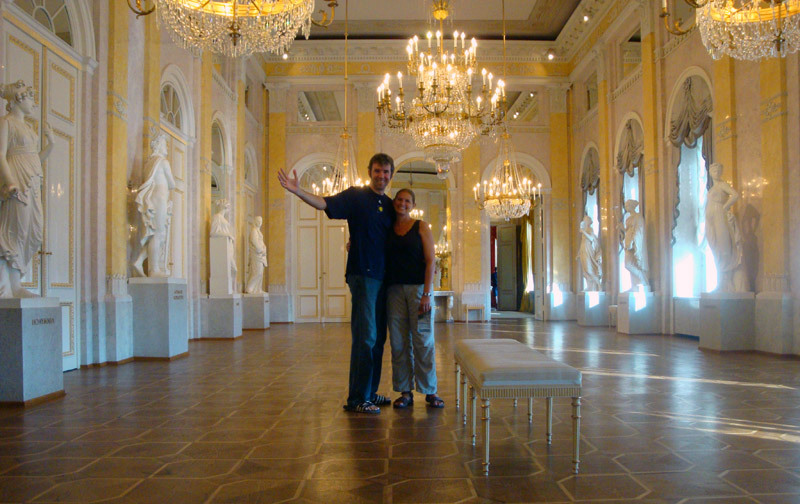 Since it is in a former Hapsburg palace you can also tour several of the old state rooms. Keeping it classy in the Hapsburg staterooms. 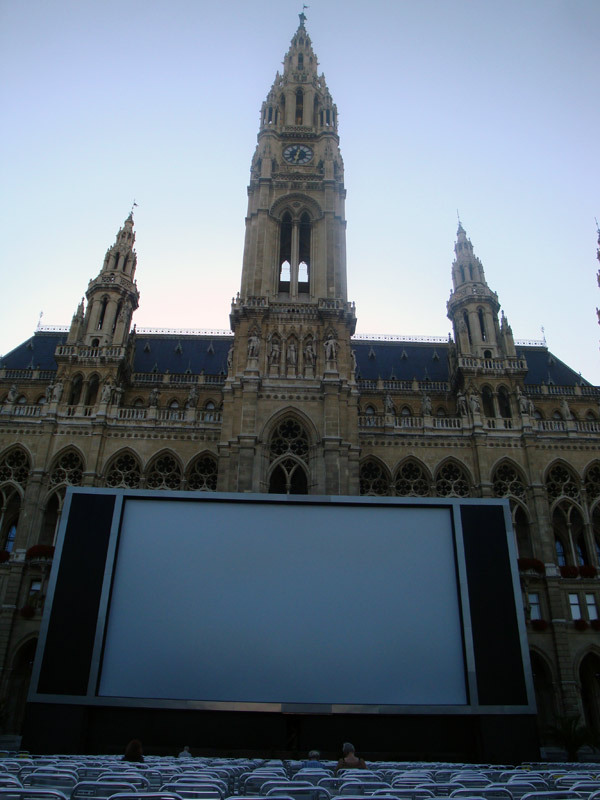 Every summer from the end of June through the beginning August the front of the Vienna City Hall is turned into a massive outdoor movie theatre. Most of the features at the Music Film Festival are concert films covering a wide range of musical tastes but there are also music focused movies and documentaries. Admission to the films is free. Almost a bigger attraction are all of the food vendors who set up shop around the theatre. Large booths run by restaurants from around Vienna offer a wide variety of food though everything is sold at festival prices. The big screen in front of city all. Beethoven, Mozart, Julie and Schubert. 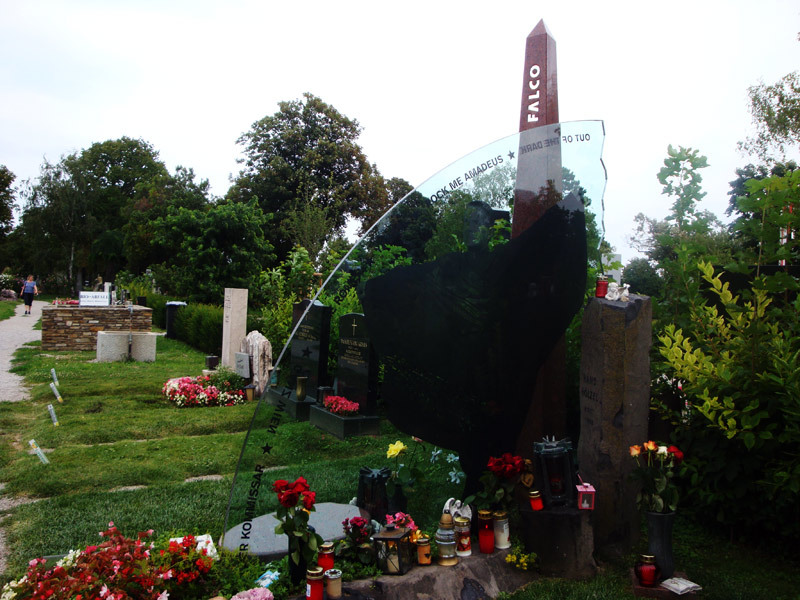 Falco probably has the most recognizable grave in the entire cemetery. Not quite tennis ball size but pretty close…Dr. 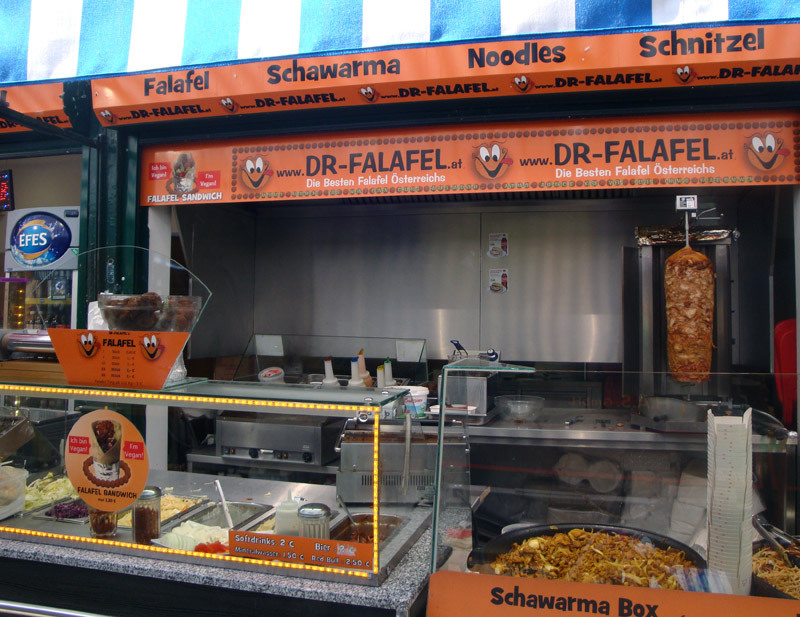 Falafel is a great place to stop for a snack. Vienna is well known for its coffee houses. Though most of them looked way too fancy and after looking at their menus a bit too much out of our price range. I enjoy a good coffee, but when you are traveling on a budget it is hard to justify the expense no matter how good it is. I remembered seeing pictures of a coffee house that was a bit more my style in a National Geographic article several years ago. 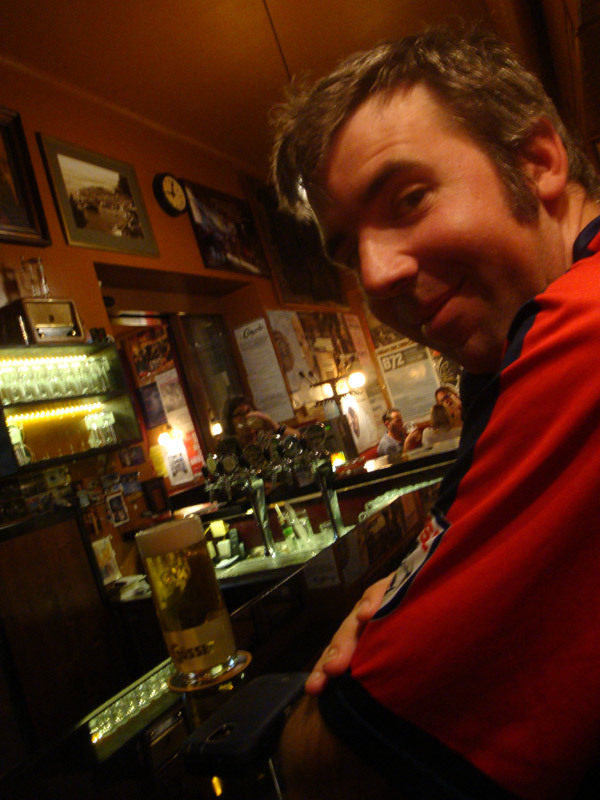 After some research I determined it was the Kaffee Alt Wien on Bäckerstraße. More affordable and less stuffy than the “proper” coffee houses it reminds me of my favorite joints in New Orleans with walls covered in concert, art show & theatre posters. Who goes to a coffee house and orders a beer? Kaffee Alt Wien has both. 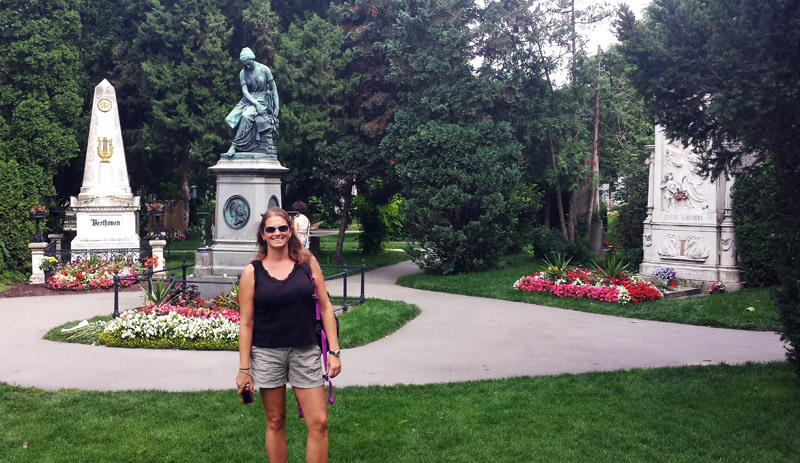 There are a lot of beautiful green spaces in Vienna. Just pulling up Vienna on Google Maps will show you that. Most of the parks in central Vienna offer great views of historic buildings and are a good place to relax in the shade on a hot summer day or enjoy a picnic or beverage in the evening. 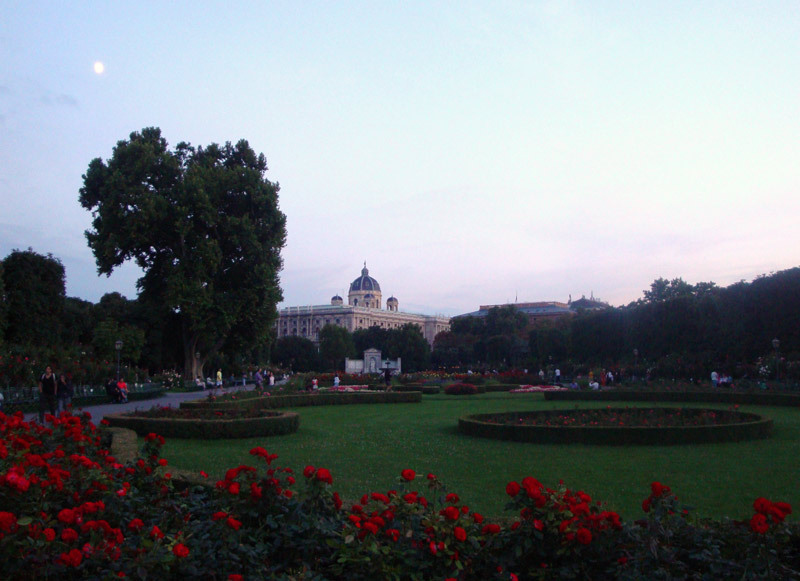 The parks of Vienna are beautiful especially at sunset. The 1949 movie The Third Man was filmed in an Allied occupied and divided Vienna that still showed the scars of war. 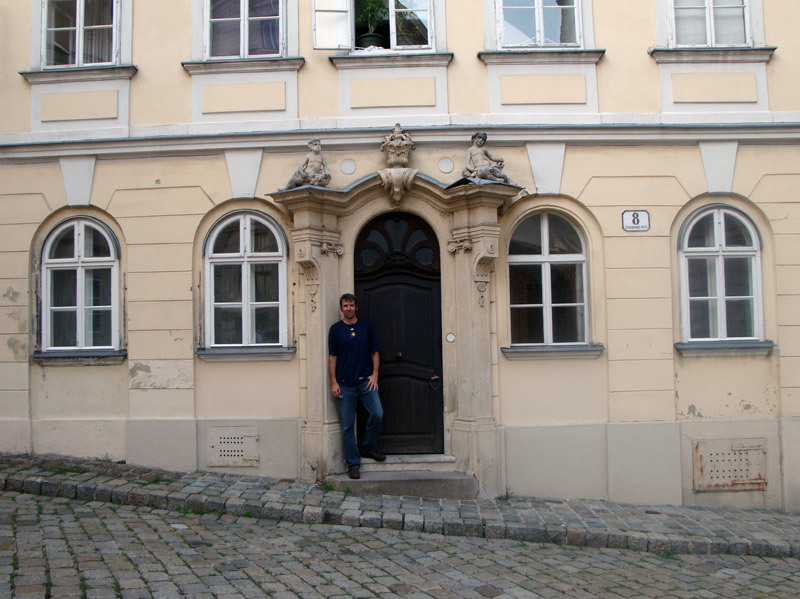 Directed by Carol Reed and starring Joseph Cotton, Alida Valli, Orson Welles and Trevor Howard its prominent use of Vienna as a stage makes a self-guided filming location tour pretty easy. You can find various lists of locations online. 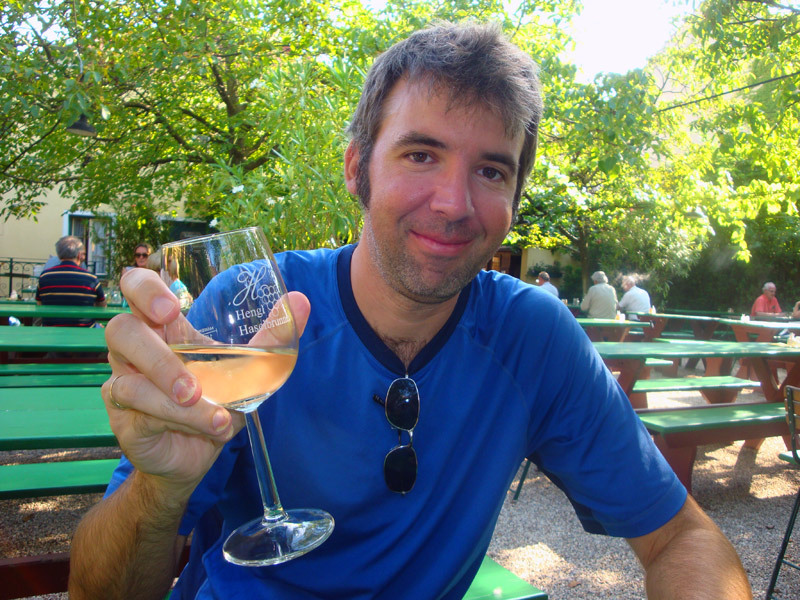 You can pay for a tour if you like or you can seek out many of the locations on your own. It all depends on how much time you want to put into it. I had a few locations I wanted to see and just worked them into our touring of the city. In “The Doorway” from The Third Man. Not as dramatic during the day and without Orson Welles.